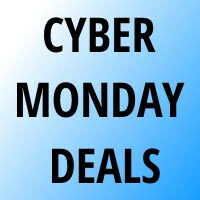 Here are 15 Cyber Monday deals and steals you need to check out! Everybody looking for a tech bargain knows that the shopping craze doesn't stop with Black Friday. Black Friday is merely pre-gaming for Cyber Monday, when every retailer in the USA (and other parts of the world, as of recent) is looking to zero your bank account with unmissable deals on all kinds of electronics. While our round-up is merely a splash inside an ocean of offerings, we think the 15 smartphone and accessory deals we stumbled upon are worth your attention. This year's smartphone and tablet flagships are up for outrageously thin prices, while oddities like the HTC RE Camera and the LG TonePlus+ necklace/headset hybrid are priced better than they'll ever be. Stick with our round-up and you'll surely find something to rock your boat! Motorola has the 2014 Moto X for $359 off-contract (that's $140 off the reg. price) and will take 30% off any accessory your order along with it. Best Buy is selling the LG G3, in four colors, for just $1.00 with a 2-year contract on Verizon or Sprint. That's $199 more left in your bank! At $650 off-contract, the Amazon Fire Phone is a flop. At $199 without a sign-up, it's a total bargain! In addition to its unique 3D UI, the Fire Phone has a 720p display, a Snapdragon 800 processor, 2GB of RAM, 32GB of storage, and a 13MP main cam with OIS technology. Amazon even threw in a year of free Amazon Prime subscription. Best Buy is having a good deal on Samsung's best tablets this year. The Samsung Galaxy Tab Pro 8.4 is up for $230 down from $300, while the Galaxy Tab 4 10.1 is up for $319 down from $349. NVIDIA has an offer gamers can't refuse. The SHIELD tablet can be had for $399 (down from $488), bundled with a SHIELD controller, three Valve games, and the Grid on-demand game streaming service. The NVIDIA Shield console can be had for $199 (down from $258), bundled with a carrying case and a glossy black armor. GroupOn is selling the 16GB Samsung Galaxy S5 for $550 unlocked, down from $749. Any questions? T-Mobile has a really solid offer for the last three iPhones. "Buy an iPhone 6 16GB and we’ll upgrade you to an iPhone 6 64GB. Buy an iPhone 5s 32GB and we’ll upgrade you to an iPhone 5s 64GB. Buy an iPhone 5c 8GB and we’ll upgrade you to an iPhone 5c 32GB". Buy a hundred, and CEO John Legere will congratulate you on Twitter. Act fast, because the supply is limited! Sprint has put HTC's flagship on a $15/month Sprint Easy Pay Plan, which means you can shave $320 off the full retail price of the phone. The Nokia Lumia 530 aged like fine wine, and Best Buy is selling it for a dirtier than dirt-cheap $35 (down from $70) with a T-Mobile prepaid plan. If you are the unpretentious kind, it doesn't get any better than this. Finally, Google tossed a free $50 Google Play gift card with the $399 16GB Nexus 9. $50 is a lot of apps, games, music, video, books, or whatever tickles your fancy. Strap your iPad onto this Logitech keyboard cover and it becomes the netbook you always wished to have. Amazon is selling it for $42 down from $100, which is a nifty deal. At $199, the HTC RE Camera is a very questionable buy. At the $99 BestBuy is asking for, it's just fine. Nevertheless, the pipe-ey little cam is a joy to have! DailySteals is selling the fancy JBL Powerup speaker for $129 down from $299. Not only does it rock the house and look good while doing it, this speaker wirelessly charges your Qi-enabled smartphone! Here's another nice, all-grilled-out bluetooth speaker at a steep discount! The JLab Poppin has a built-in mic and controls, and is being sold at $40 down from $130 at GroupOn. Good stuff! Amazon is selling this quality LG headset for $50 down from $80. They need to unpair it from the fitbit and have a sale for ~$250. My 1520 needs a sibling. Why such partiality towards non-american consumers companies??? Why??? And why only on contract deals?! The lumia, moto x, and fire phone deals are off contract. Umm... did you even bother to read the article? More than half the deals do not require any contract. Woot just 200 dollars for the fire phone? Damn! Too bad Fire OS is terrible, and its developer support is practically non existent, so you can't even flash stock Android on it. Sorry to nitpick here but Motorola's deal is to take off 30% off of accessories purchased with the new Moto X, not $30. I know, it's a simple typo, but it's a big difference in price. Just ordered a free Blaze Red LG G3 and a free LG Gpad 8.3" LTE from Verizon. I thought about it, but the G Pad requires a contract and thus an extra $10 a month activation fee that I'll never use. $200 is still a waste of money for the Fire Phone. For us prime members about to renew, it's more like $100. Not bad imo. Or, a person could to directly to Sprint or Verizon and get the LG G3 for free with 2yr contract. Fire phone is a good deal at $200. Moto X (2014) is a good deal at $359. This is around the prices that the phones should be selling at. Galaxy S5 is still way over priced. Tried getting 2 S5s from Cricket, they had them for 295 off contract, but they were sold out. Guess I'm not surprised. I looked into the moto x but the Motomaker site had them at 499 still for me. I was going to switch to cricket, but i decided not to. I was up at 12 going to make the order, but I just dont trust cricket at all. Ive actually been happy with Boost Mobile. So, I got their GS3 for $99 with a free Samsung flip cover. That GS5 was so tempting though... just I hear a lot of bad rep about their customer service. To get the Moto X deal you need to go onto the Motorola site and order a coupon code.Then you use that coupon at checkout. Well that's dumb. Nice to know though. The Samsung Galaxy Tab Pro 10.1 is incorrect. The link leads to the Tab 4 10.1. Hey, sorry for those typos, guys. The links should be correct now.